Annual beer tasting coming up in first week of February. My sister Char offered free rooms for us at the Golden Nugget Casino in Biloxi, Mississippi. Seemed like a good reason to look for beers indigenous to the quaint little town of Ocean Springs, Mississippi. You’re there in less than five minutes by taking the bay bridge next to the casino. There are a multitude of restaurants, bars, and shops that make the charm of the old and that of the new. A great example is where we had lunch on the main drag of Government Street. 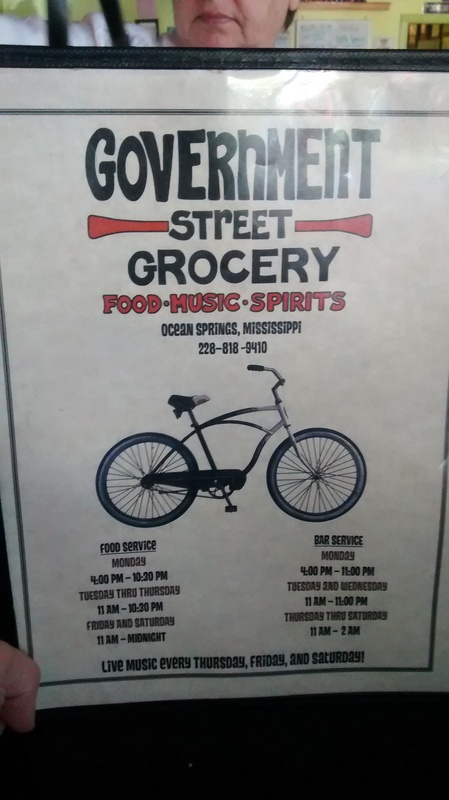 The Government Street Grocery is an old restored grocery store that’s part bar and part restaurant and serves soups, sandwiches, burgers, wraps, and salads. There’s a large selection of beers in bottles and on draft. There’s an emphasis on everything being fresh and homemade. The soup of the day was made with sausage, potato, and kale. Great handcut fries. 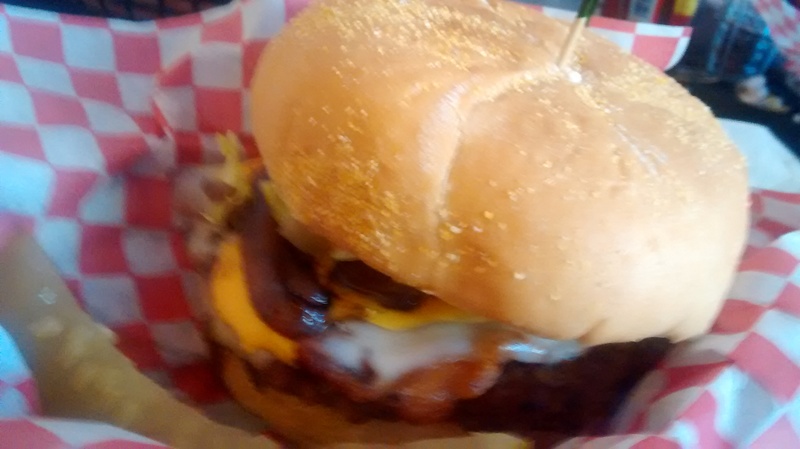 I had the Tijuana burger, which consisted of 100% angus beef with grilled onions, bell peppers, jalapenos, pepper jack cheese, lettuce, tomato, and spicy mayo on a toasted kaiser roll. Everyone was happy with the food, service, and the reasonable prices making it a good place for a leisurely lunch. After lunch, we walked to Broom’s Grocery to check out their large selection of beers. 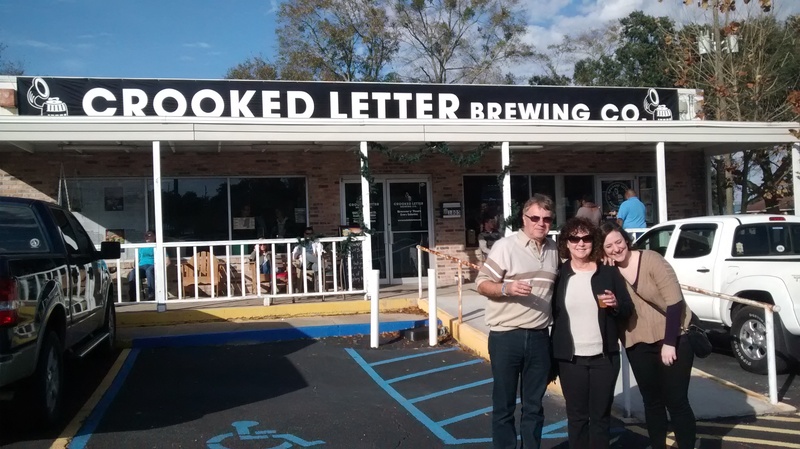 As we entered the store, we noticed the Crooked Letter Brewery located in the back of the parking lot on the side of the store. We decided to check out the micro brewery. They have brewery tours on Saturdays from 1 to 3 o’clock. For $5, you get a good deal with a tour and the opportunity to sample six beers from their small tasting room. After the tour, we chilled outside on the wooden rockers sampling their tasty brews. The brewery has four beers that are available in six packs. 1. Mystery Romp A porter with chocolate and coffee nuances. 2. Crooked Heffy A cloudy wheat beer with hints of pineapple and banana. 3. Gipsy IPA A typical hoppy India Pale Ale. 4. Stabello Maniscalco In Italian folklore, Stabello was an orgre who wondered villages after nightfall in search of beer and mischief. To honor the legend, this is a hopped up version of an Italian-style lager. 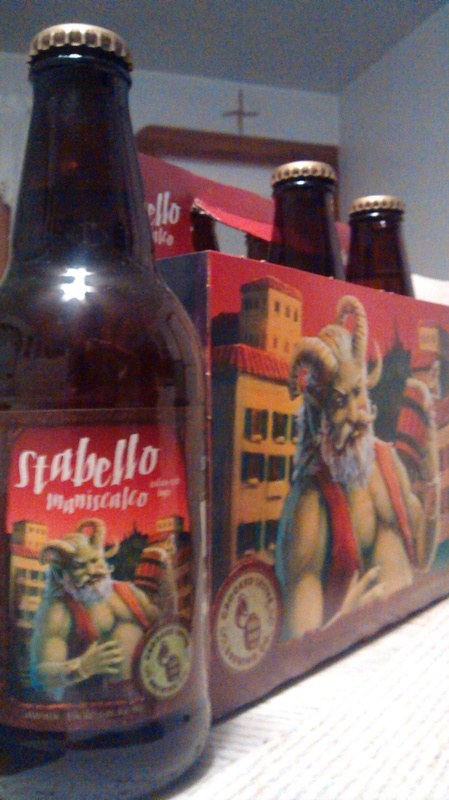 All of the beers are well-made, but the Stabello was definitely my favorite beer from Crooked Letter and will definitely be in that number for my beer tasting in February.